COMPLETELY REVERSIBLE - 2 pairs of shorts in 1! High Waisted, fitted short style. Seen with our VESTA Crop Top - Sold seperately. Can be mixed and matched with any of our pieces! 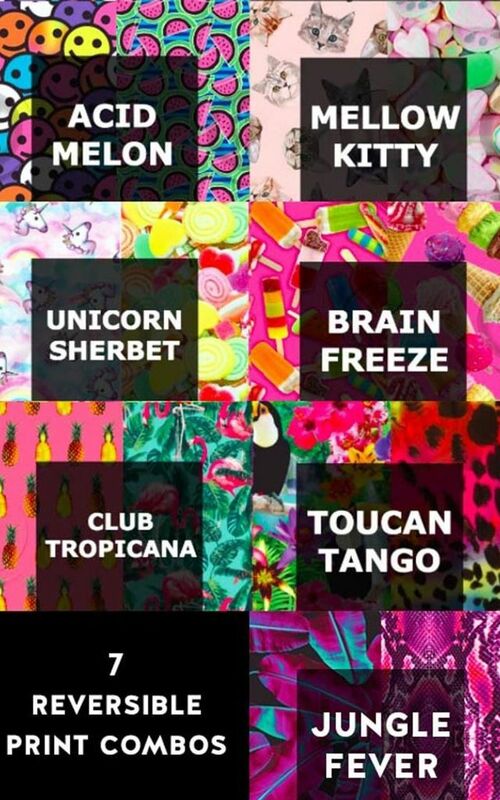 Seen in BRAIN FREEZE Print, available in 6 other combinations. Now availble in sizes UK 6-20!! Stretch Lycra, two layers for extra support and completely reversible.